Publisher: Franklin, Beedle & Associates Inc. 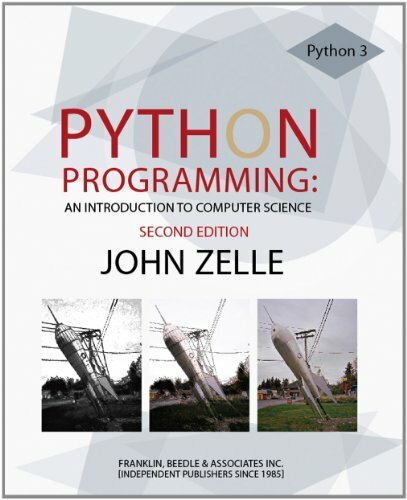 This is the second edition of John Zelle's Python Programming, updated for Python 3. This book is designed to be used as the primary textbook in a college-level first course in computing. It takes a fairly traditional approach, emphasizing problem solving, design, and programming as the core skills of computer science. However, these ideas are illustrated using a non-traditional language, namely Python. Although Python is used as the language, teaching Python is not the main point of this book. Rather, Python is used to illustrate fundamental principles of design and programming that apply in any language or computing environment. In some places, I have purposely avoided certain Python features and idioms that are not generally found in other languages.